Lucy recently discovered Curious George. 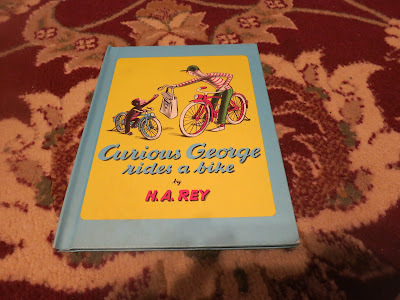 I checked it out from the library, and we read it about eighty-seven times, so I pulled out a couple of books I had as a child about Curious George. Curious George rides a bike has become an instant favorite book. We read it several times a day. 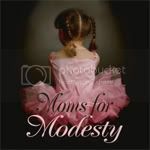 Like many toddlers, Lucy sometimes has difficulty transitioning between activities (read: big-tears, screaming, falling-on-the-floor tantrums), particularly the transition from whatever she's been doing to bath-time. Last night, about five minutes before bathtime, I heard her father reading this book. 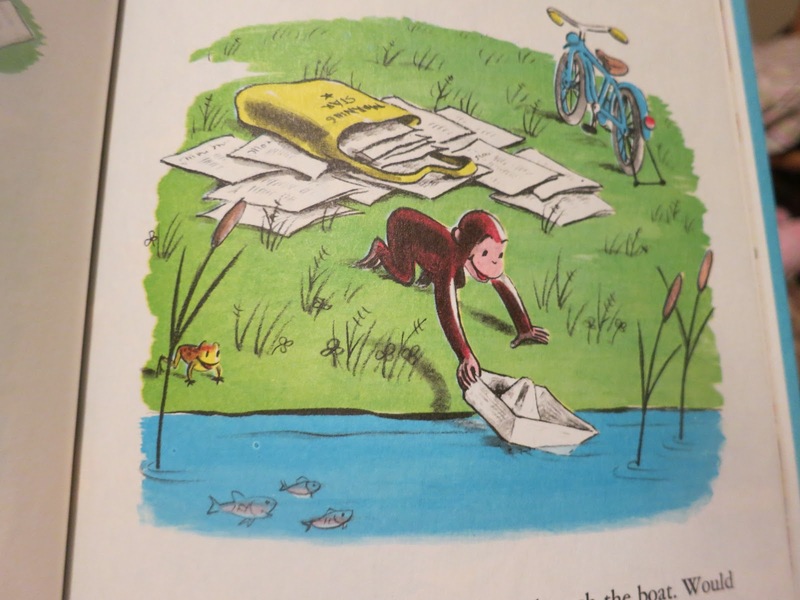 It includes illustrated instructions for making paper boats, just like George. I made a couple paper boats from scrap paper, and Lucy went very excitedly to go try floating them in the bath. Sadly, one of the boats tore in the bath. I quickly made a deal with Lucy that if she would get out of the bath and go put a diaper and pajamas on, then I would make her a new boat. So we managed another smooth transition, with Lucy happily chatting about a "new boat" all the while. I am so grateful for a peaceful bedtime with Lucy. Peaceful bedtimes are indeed a grace and blessing! We love Curious George. What a fun mom to think of making a boat for the bathtub! Curious George is indeed a staple of childhood! And he's adorable too.